Net income in the quarter and for the year was bolstered by 53 cents earnings per share, or $12.6 million, from the 2017 tax reform act. Earnings per share in the fourth quarter without the benefit were 65 cents, topping the 62 cents expected by analysts surveyed by Bloomberg. 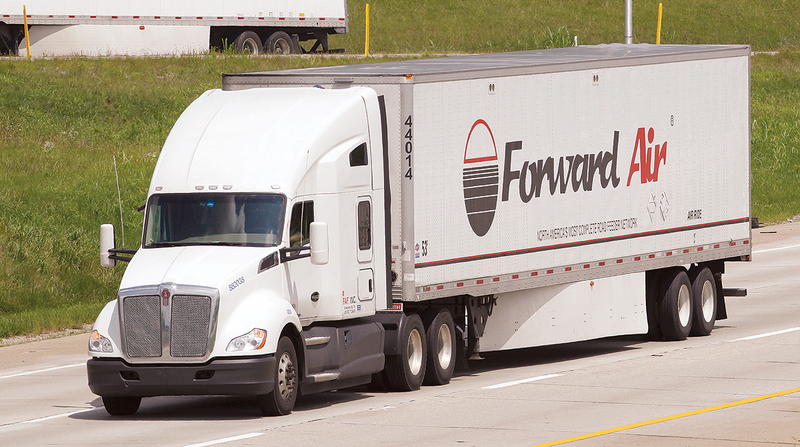 The company operates four major divisions — expedited less-than-truckload, truckload, pool distribution and intermodal. The LTL group reported quarterly operating income of $23.5 million, up from $20.5 million, on revenues of $171.2 million, up from $147.4 million. The truckload group saw a loss of $451,000, down from a $1.3 million gain, on revenues of $46.4 million, up from $44 million. Pool distribution saw income of $2.7 million, down from $3.8 million, on revenues of $50.4 million, up from $47.5 million. Intermodal had income of $3.5 million, up from $2.8 million, on revenues of $43 million, up from $27.3 million. For full year 2017, net income was $87.3 million, or $2.89, compared with $27.7 million, or 90 cents. Operating revenues were $1.1 billion, up from $982.5 million. For the year, the LTL group reported operating income of $88.1 million, up from $83.5 million in 2016, on revenues of $619.8 million, compared with $570.8 million. The truckload unit had net income of $3.2 million, compared with a loss of $35.4 million, on revenues of $179.3 million, up from $164.3 million. Pool distribution had income of $6.4 million, compared with $3.6 million, on revenues of $164.2 million, up from $148.7 million. Intermodal had income of $12.7 million, up from nearly $11 million, on revenues of $149 million, compared with $103.7 million. Forward Air ranks No. 37 on the Transport Topics Top 100 list of the largest for-hire carriers in North America.